Kendrick Lamar is up for 11 Grammy Awards this year, more than anyone else, including Album of the Year and Song of the Year. So far he’s won Best Rap Song and Best Rap Performance for “Alright”; Best Music Video for his feature in the Taylor Swift video for “Bad Blood.” (His own video “Alright” was also nominated for that category but lost.) He also won for Best Rap/Sung Performance. 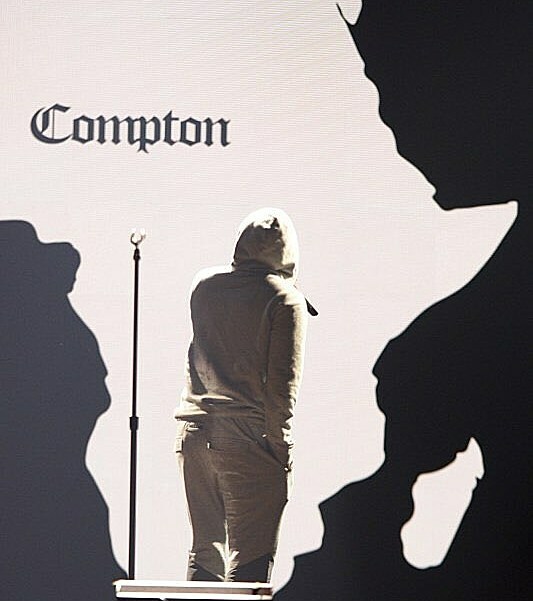 UPDATE: He won Best Rap Album, the first category aired in the telecast, beating J. Cole, Dr. Dre, Drake and Nicki Minaj. The nominees were announced by Ice Cube and his son, and the fact that they did televise this is an improvement over last year’s awards, which aired zero rap categories. He’ll also be performing two songs tonight, and LL Cool J says he’s “gonna do something controversial.” Stay tuned for more updates. UPDATE 2: Watch his performance.